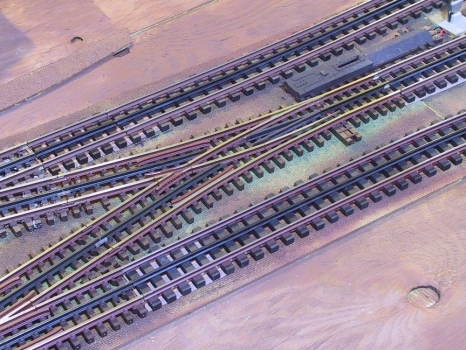 I think the 3 rails (center hot, ground on both outside rails) enables all sorts of wiring gimmicks, such as the ability for switch tracks to flip automatically as a train approaches -- this relies on the circuit being completed by a wheel axle, from one outside rail to the other. The main advantage I can see to Lionel's track is that it's durable and easy for young children to put together. The Gargraves track is less so. I agree with Tommie. 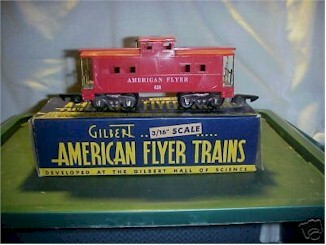 I had an American Flyer just because it had realistic track. 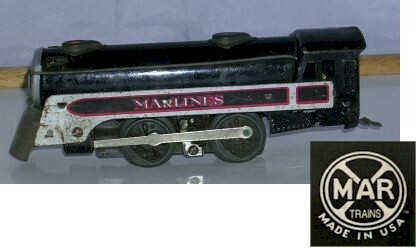 I think its O gauge (the larger one). I'm very interested in expanding the set but I can't believe how expensive a hobby it is. A switch is like $75. MTH/Mikes Train House. Makes some quality stuff, I have a few of their larger pieces, collected over the years, but no setup. Is yours setup or still in the boxes. Either way take care of it it will become more valuable. When I see how much the Lionel set I had when I was 9 years old is worth today, I kick my self., what scale is yours, HO gauge, O gauge? I never had an electric train set as a kid and I always wanted one. My wife finally got me an MTH set for my 32nd birthday. Still have it. Good old Lionel trains. Brings back so many memories of Christmas when I was a child. When the train boxes came out of the basement sometime after Thanksgiving, you knew Christmas was close by. Was nothing more exciting than setting the train table up and making a new layout for that year. It made me a lionel collector to this day and they still bring out the kid in me. My brother had a Lionel that if you put little white pellets in the smoke stack, it would puff smoke as it traveled around. I still have my 1957-vintage Lionel "O" gauge set (Santa Fe F-3 and Virginian FM diesel engines and Milwaukee EP-5 and Pennsylvania GG-1 electrics, plus passenger & freight cars and the big ZW transformer -- originally on a 4' x 16' table), and have recently been augmenting it in an effort to put together a large working layout. I'm going with Lionel's TMCC wireless remote control this time, and with the Gargraves Trackage system, since its appearance -- tie spacing, track cross-section, hidden center rail -- is much more realistic. But the layout is at our vacation home, and I'm not there often enough to get the project done.